As a bonus, check out this music video they did for the song, “3002.” Wait for the 2:20 and see these little kids go off! 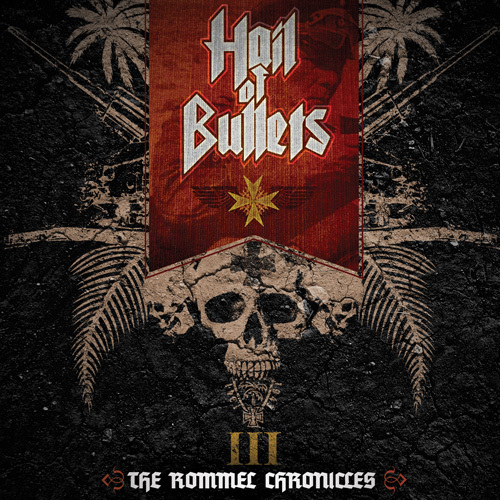 Dutch Death metal band HAIL OF BULLETS have launched the first video teaser for their upcoming new album, III The Rommel Chronicles. Yes, another World War II-themed album. A full new song, track listing and pre-order options will be launched next Monday, September, 9th. Swedish epic doom metallers MEMORY GARDEN has finished the recordings for their upcoming fifth album Doomain. Doomain will be released the 12th/15th of April via Metal Blade Records in Europe on vinyl and as a Digi-CD and on April 15th in North America via all digital music retailers. American dark metal pioneers NOVEMBERS DOOM have commenced recording of their 8th full length studio album, entitled Aphotic. The album is set to be released on The End Records in Spring 2011. Aphotic is being recorded at Belle City Sound in Racine, Wisconsin with longtime NOVEMBERS DOOM collaborators Chris Wisco at the controls and Dan Swano mixing. Throughout the recording process, NOVEMBERS DOOM will be uploading videos and studio reports to the band’s official YouTube channel. Clips of new material as well as band member updates will be available. To celebrate the 10 year anniversary of the release of The Knowing, The End Records is re-issuing this long out of print album, one of the most sought after in the NOVEMBERS DOOM catalog. The 2-disc set will include a completely re-mixed and re-mastered version of The Knowing, featuring new versions of “In Faith” and “Silent Tomorrow,” to be available as originally intended. The set will also include the original 2000 pressing, unaltered. An expanded 24 page booklet accompanies this reissue with original photography by Tony Myles of Cage XXI. The album was recorded at Seawolf Studios, Helsinki, in Summer 2009 with mixing carried out by the prolific Dan Swanö at Unisound in Sweden (KATATONIA, OPETH).